"I’m speaking up about this now because, as a member of the IAEA’s Iraq Action Team in 2003, I learned firsthand how withholding the facts can lead to bloodshed. Having known the details then, though I was not allowed to speak, I feel a certain shared responsibility for the war that killed more than 4,000 Americans and more than 100,000 Iraqis. A private citizen today, I hope to help ensure the facts are clear before the U.S. takes further steps that could lead, intentionally or otherwise, to a new conflagration, this time in Iran." Now joining us from Vienna in Austria is Robert Kelley. Thanks very much for joining us, Bob. ROBERT KELLEY, FMR. DIRECTOR, INTERNATIONAL ATOMIC ENERGY AGENCY: Nice to be here again, Paul. JAY: So why did you feel the sense of urgency to write whatâ€”a sort of plea here for evidence, I guess one could say? KELLEY: Well, I think those of us who went through the Iraq experience, particularly in 2003, just saw a lot of bad information on the table. And I recognize a little bit of that again this time. And I’d just like to point out that we shouldn’t believe everything we see at first blush. In 2003 it wasn’t my place to speak. We had a director general who spoke for us. He did a good job. I think he spoke way too softly, way too timidly, and so the information didn’t get out. We’ve done a huge amount of research in Iraq, we understood what was actually happening there, we were proven right, and no one listened to us. JAY: You’re trying to come at this as a scientist. You’re looking at is there evidence if they’re not, and you’re not giving opinions on whether there should be bombing or sanctions or not. As you’re just goingâ€”you’re focusing on a very narrow issue: is there evidence or not? Let’s just get clear on that. KELLEY: Right. Well, I think there’s plenty of evidence that Iran intended to build nuclear weapons, or they wouldn’t have built these huge material production plants at Natanz and the reactor that they’re getting ready to turn on at Arak. We can see that there was a program from many of these, I think, pretty well-sourced American documents that are called the "alleged studies" that Iran had a program for a long time. The CIA says that program stopped in 2003. I don’t know how they know that, but they say that with quite a bit of certainty. And IAEA brings very little new to the table. When you do look at what’s new in the IAEA report, it comes down to about three paragraphs. And of the three paragraphs, one of them concerns information that’s clearly tainted. There is a document that appeared in The Times of London, and the IAEA is repeating exactly the information that’s in that document, and there are a lot of questions about that document. JAY: Yeah, that document’s pivotal, because it’s supposed to be one of the main things, if not the main evidence, we’re told, that a program started up or continued after 2003 or started up again after 2003. So this is a document that essentially we now know the Israelis handed over in 2009. If I have it correctly, ElBaradei, then head of the IAEA, did not believe that document was legitimate. I didn’tâ€”I don’t know if he comes right out and says it was forged, but it comes pretty close. So just dig in and tell us the story of that document and what we know or don’t know about it. KELLEY: Well, the document as published in The Times has linguistic problems in it that remind us of the forgeries of 1995, when we saw very similar forgeries that were designed to stop the Iraq inspections and make us believe that the Iraqis had resumed their weapons program. I just got very much the same sense from this document, as it’s the same problem. And so I was really trying to point out to people that the single piece of evidence that we can judge in the IAEA’s report, that we can look at ourselves, is tainted. It looks just like the information that’s in The Times of London, which is very questionable. That’s my point. JAY: And that document, if I understand correctly, does not have a date. It doesn’t have a source. It’s a veryâ€”it’s difficult to believe. But the IAEA team under ElBaradei that did look at it discounted it, decided it was not evidence. Is that correct? KELLEY: Well, we know that the information that they received at that time from ElBaradei’s memoir, they put it aside because they couldn’t verify where it came from. Remember, ElBaradei was a lawyer, and he wanted evidence to be traceable. He wanted to know evidence was real. So he put it aside, based upon his memoirs. Fourteen days after he retires, this document shows up in London. We do have to remember that we’ve been told that the document was retyped to hide some of the information that was in it. So that could explain in part why there are no markings, why there’s no date, why there are no distribution lists, for example. But, apparently, the document that ElBaradei rejected had the same kind of problemsâ€”he could establish the authenticity. JAY: Okay. So we have a dubious document and not much else to tell us that there is still a weapons program going on. And your key point here is not that you’re stating there isn’t a program. In fact, in some of your writings, you say you think there likely might be or is. But there’s just no evidence of it. Am Iâ€”this is correct? KELLEY: Yes. Okay, let’s make two things clear. One is I think the intent has been there for a long time. They spent millions of dollars to build these facilities to make material, and that’s the hard part. The knowledge that they gained up to 2003 is very valuable knowledge if they do decide to build a bomb. So even if they stopped in 2003/2004, they had acquired a lot of knowledge then, and it would be hard to believe that someone hasn’t been guarding that knowledge in the period between. But the question is: is this a smoking gun that says there is an active program today? A lot of people are referring to the IAEA report as proof that there is. And it isn’t. This particular information that I’ve mentioned is one of only two places in the document that I think we can kind of check the IAEA. And so here is a place where they put information in the document that we recognize from other sources, and it doesn’t look good. The only other thing that we can check them on would be the satellite imagery they say they have of this explosion cylinder being placed at Parchin. JAY: The reason, obviously, all this matters is thousands of lives could be at stake if there is a military action taken against Iran based on this. You know, you used the word conflagration. That’s perhaps even an understatement of what might come. KELLEY: I would think that if there is military action with Iran, the consequences are very unpredictable. It could be a very serious situation. I’m watching the United States extricate itself from two wars right now and hate to think we’re going to go right back into another one. JAY: So you say in your piece in the Bloomberg that this needs to be resolved, and you’ve got some specific suggestions on how to clear this picture up. What are they? What do you think the IAEA should be doing to try to come to terms with this? KELLEY: Well, I think the situation in the IAEA and the Iranians kind of looks like a schoolyard fight. And it would be nice if both sides would stop and step back, try to establish a little more good will, some transparency. I have several suggestions what they could do. I think they should take the documents to Tehran when they go at the end of the month, sit down with Iranians, and say, let’s work this through and see if we can figure out if we do agree on whether they are or are not forgeries. The deputy director general was quoted in a WikiLeaks cable as saying he wants to take the documents to the Iranians. And that was two years ago. I don’t know if that’s happened yet. So I would suggest the IAEA could show a little bit of openness by taking them the documents. According to the ElBaradei memoir, the Israelis said they didn’t mind; go ahead and show them the documents; we have no problem. Iran needs to show some cooperation. I think they should take the IAEA to the site where the agency says they have satellite imagery of this cylinder being placed, the cylinder they think was being used for explosive experiments with uranium. The reason for the cylinder is to contain uranium contamination is what they claim. And if it has ever happened and that cylinder has ever been opened, that building will be contaminated, and I’m sure the IAEA can detect the contamination, even if the cylinder’s been removed. And you have to remember that IAEA took Syria to the Security Council on the basis of a handful of microscopic particles that they detected a year after the bombing of the Syrian facility on Euphrates. So I think that would be a case where Iran could say, if we never did it, we’re going to take you to this facility, show you what’s in there, tell you about the nanodiamond experiments we did and what was going on. JAY: Yeah. Let’s justâ€”to remind people that haven’t seen our previous interviews or followed this, this cylinder the Iranians say is being used for experiments on nanodiamonds, the IAEA suggested in this recent report that it could have been used for testing weaponization, I guess. And in one of our interviews with you earlier, you were pretty dubious that this thing could have been to do with weapons, were you not? KELLEY: Yeah, I saw a number of things about the way it was reported. For example, the amount of explosive it contained didn’t seem to be enough. But we don’t know how the IAEA came up with the numbers they did. The IAEA doesn’t have to explain anything they tell you. They just tell you things. 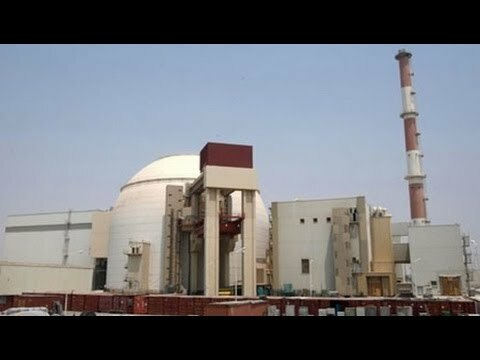 But I think if uranium was ever used in that building with explosives with this chamber, the Iranians would be taking a huge chance by letting the IAEA in there. If they do it and they can explain what they actually were doing in that building, that would be good again for both sides. JAY: Well, that one seems pretty straightforward. On some of the other things the IAEA says it wants to look at, the Iranians have said, we won’t let you look at it, because what you’re really going to find out is more about our conventional missile program and conventional weapons, and we have a right to protect those secrets. How legitimate is that position of Iran? KELLEY: Well, I’ll say it’s legitimate if you put the shoe on the other foot and say, if someone wanted to come to the United States and visit military facilities on the basis of, say, an arms control treaty that had nothing to do with those facilities, the U.S. would be very resistant. And I think they’re being resistant partially because they did allow a number of inspections at Parchin, and the agency came away with nothing. So, you know, I think the Iranians believe this might be a fishing expedition. JAY: Bob, so, Iran, there are thingsâ€”steps Iran could take to try to resolve this. And are there other steps IAEA could take to help resolve this? KELLEY: I would think that the IAEA should be more transparent with the information that they have. This report they published has a lot of "trust me" in it, a great deal of "trust me", and some of the things they say are very interesting and almost questionable. For example, they say they have a satellite image of this cylinder being placed. Why don’t they show us that satellite image? They shouldn’t be afraid of peer review. There are scientists around the world who are interested in these problems. And it would really help all of us if they would put some of this information a little more clearly on the table. For example, the dimensions of the cylinder we were just talking about would allow other people to calculate whether that cylinder will do what they say it will do. So I think IAEA should put a little more information on the table. But they seem to be kind of above review. JAY: Well, in a earlier interview, you were saying the way they’re presenting the information seems designed to strengthen a more hawkish view. KELLEY: It’s my sense that the way they present the information this report, where there are more than one explanation for information, they tend to take the hawkish, most nuclear, most threatening view. And so it would seem to me that putting more information on the table and allowing other people to evaluate it or comment on it would be useful. Otherwise, it’s all trust me, trust what I’m telling you, trust my analysis, and trust that I know what I’m saying. KELLEY: Nice to be with you.